Weird believer is coming down the stretch, now she’s nose to nose…Oops! Follow the Lord and I don’t think understanding on how the Lord works has any place in this race to the finish. Would my chances of winning be better if I have met him?…The answer is no. It really didn’t do Thomas any good and it wouldn’t matter, my faults are a part of who I am, think it has been grained into my character since the days of Adam and Eve. 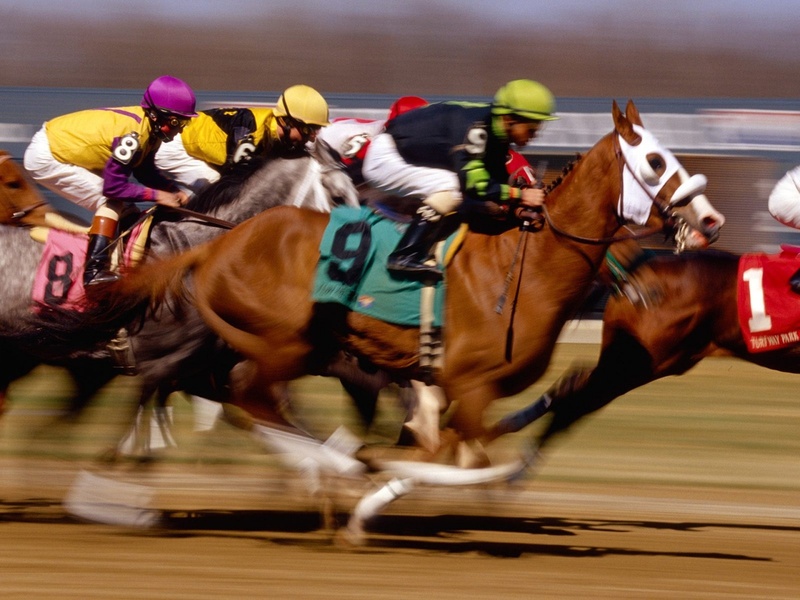 As you can see that most of those race horses wear blinders that their riders have placed on them, only the ones strong enough race without worries or moved off by distractions. What I don’t have as these horse do is an actual physical hood for blinding my way so that I can keep my nose into the direction of this pursuit of the Lord. So since I have taken two steps back am finding less pressure on tripping up on being anything other than what I am. My blogs will never be normal when it speaks on faith and I have feeling it is okay because we are not all the same. Our needs are the same, in things like food, shelter, needing compassion and support but not how we process thoughts and emotions. In the background instead of having the raves of ticket holders who have placed bets on whether I win or not I have Joyce Meyer speaking on understanding the Lord. In listening to her she points out that some of the unbelievers are blessed with so much while a lot of believers struggle. Struggles vary, just like they do for anyone else but what I picked up more than what she said was how the crowd reacted exactly as I did. And it was just recently as a matter of fact, so many times to recall what sparked this need to covet what they had. I know yesterday it was looking at a newer Ford Edge, I need a car, especially one that is safe for driving my toddler around. The borrowed Echo is a blessing but it’s awfully small and reaching more than 250,000, so how much more will I get out of it? My 2 year old is demanding attention I better leave with this…. I think there is a common bond that we have in that we don’t fully comprehend The Lord’s ways, except to keep walking towards with blinders of a race horse focused on the end with a sole goal of winning the prize, that Jesus Christ gave us when he died on the cross so that we may live in spiritual truth with him.